Each of our massage treatments work to restore your mind and body to balance, boost your immune system and stimulate the body’s natural healing power. 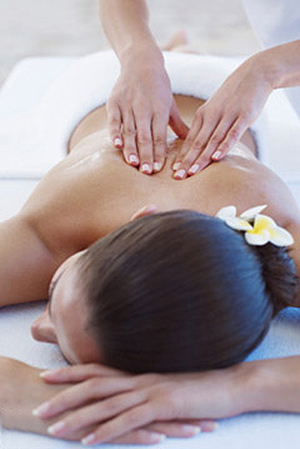 A personalised massage experience tailor made with an Aveda aroma of your choice. Tension, stress and fatigue are relieved by pure aromas chosen to meet your physical and mental condition, and massage techniques to suit your needs. Luxurious foot, head and face massage techniques are included, with the scalp massaged and nourished with hot oils then wrapped in aromatic hot towels for a truly deeply relaxing and tension releasing experience. Focuses on your back, neck and shoulders with deep tissue techniques to release tension and to soothe sore muscles. An innovative massage experience based on traditional Ayurveda principles that focus on opening and balancing the seven Chakra centres of the body using a variety of massage techniques. A combination of the Aveda Chakra Balancing Blends used with deep tissue massage, reflexology foot work and chakra energy work will lead to stress relief, decreased muscular tension and increased energy. Reflexology will restore balance to your mind and body. This ancient healing art works through pressure point massage on your feet to restore the free flow of energy to the whole body. It is particularly helpful to aid relief from stress and tension. A course of treatments is recommended.